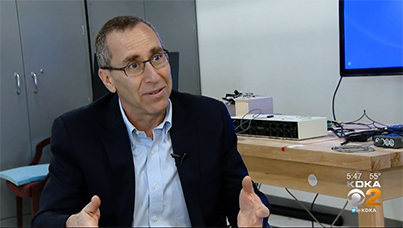 On April 4, HERL Senior Associate Medical Director Dr. Michael Boninger appeared on a news segment for KDKA-TV discussing new strides that the Rehab Neural Engineering Labs (RNEL) is making in their work with brain-computer interfaces (BCI) and the $12 million grant the Labs received from the National Institutes of Health. You can view the news segment here. Learn more about RNEL here.